Hello again - I'm still catching up on the Tonic Studios Deco frame and corner die samples I made. If you were watching Create and Craft you've probably seen this one too. I cut the Ivy Deco frame die in white, and the matching corners in Ocean Blue card from Papermill and made a rosette from the Intrica Butterfly Strip punch for the centre. 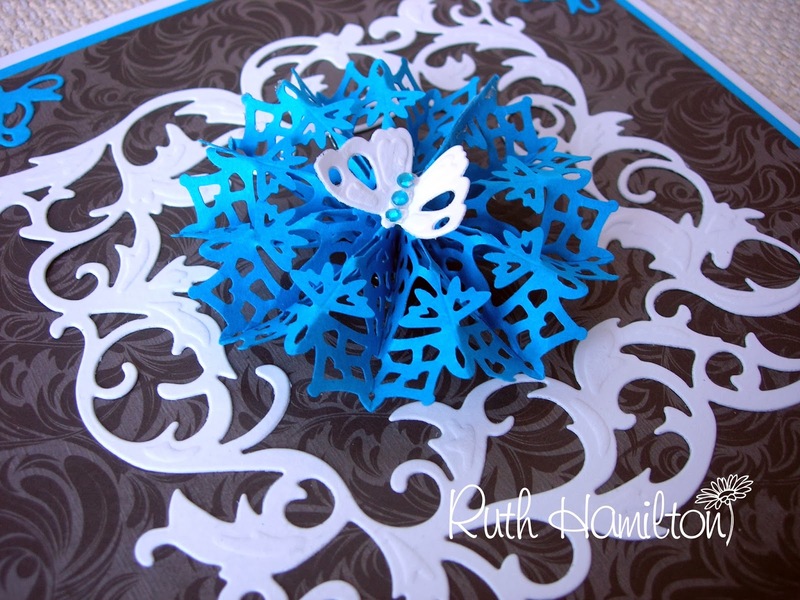 The little butterfly is from the Layering Butterfly die set....all pretty simple but the colours are great together. 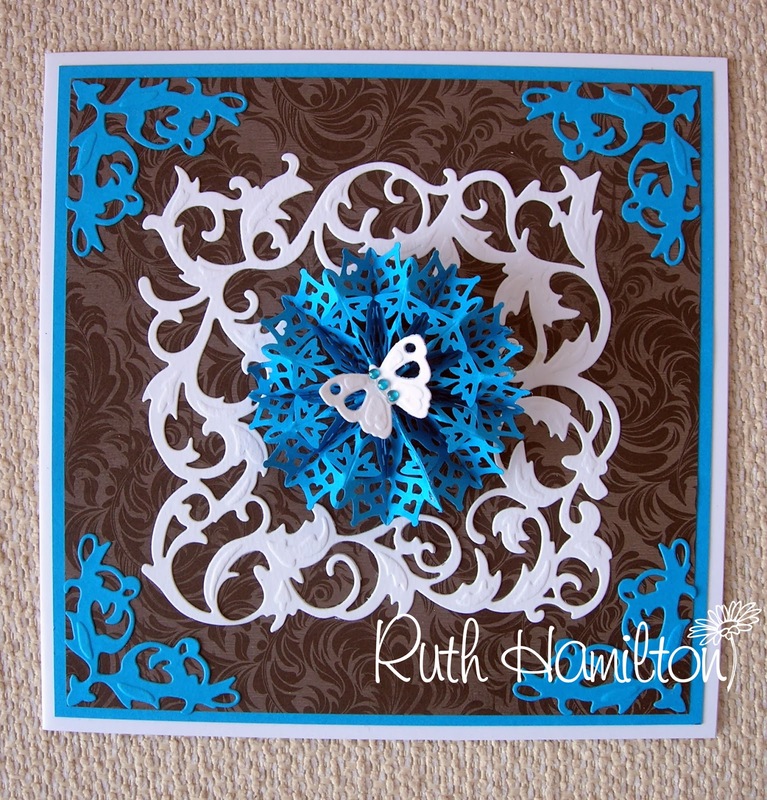 Don't forget to check out my blog - A Passion for Cards - for more ideas and tutorials.